Mister Rogers arrives with two party favors and shows how it uncurls when he blows into it. He pretends that they are horns and "plays" them along with the tune of Children's Marching Music. He then sings Everybody's Fancy. At the McFeelys' house, Mister Rogers watches as Mrs. McFeely practices her recorder. In the kitchen, Mrs. McFeely is making homemade pickles and shows Mister Rogers how it is done. 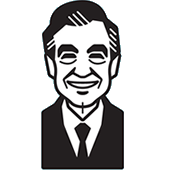 Returning to the house, Mister Rogers sits at his piano and plays the same song Mrs. McFeely played on her recorder. He briefly talks about playing music by ear. In the Neighborhood of Make-Believe, Queen Sara shows concern over the whereabouts of Lady Aberlin and Daniel Striped Tiger. Handyman Negri looks at Someplace Else but they are not there. Donkey Hodie suggests checking the Land of Allmine while Harreitt Elizabeth Cow suggets they're visiting the pandas. When Handyman Negri checks with the pandas, Purple Panda uses his recorder to bring Mr. Allmine, Daniel, and Lady Aberlin back to Make-Believe the "purple way." King Friday invites everyone to the castle's D.P. room for some fresh dill pickles. Back at the house, Mister Rogers sings Some Things Belong To You (which Mr. Allmine just sang, as well) and talks about the importance of asking permission to go anywhere -- especially when it is with an adult. Mister Rogers mentions that he initially had four party favors but met Chrissy Thompson and her friend on the way to the house and gave one to each of them. Chrissy also informs Mister Rogers that her grandmother is "making music and making pickles" at her house today. Just after Mister Rogers takes a seat at the table with Mrs. McFeely, the shadow of a crew member can be seen passing by the front of the set. Donkey Hodie: Maybe they're at Allmine's place? Handyman Negri: Well, I think I'll cross that bridge when I get there. Harriett Elizabeth Cow: I didn't know that Allmine had a bridge at his place. Donkey Hodie: Oh, he has a little bit of everything there. Everybody's Fancy plays in the background as the episode transitions to the McFeelys' house. Black and White Panda is no longer in Make-Believe as he has returned to the circus.